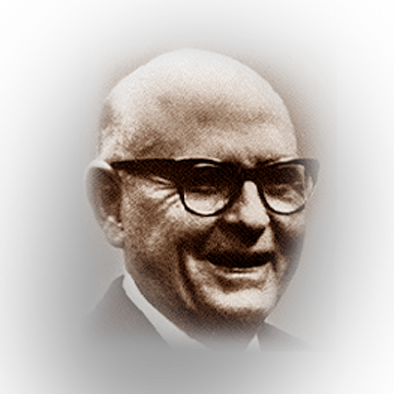 Max McGraw began as an electrical contractor at age 17 and with $500 savings from newspaper routes, he founded and was president of McGraw Electric Company, Sioux City, Iowa. He made practical the manufacture of the automatic toaster for home use, which grew into the famous Toastmaster home appliance line. McGraw Electric merged with Thomas A. Edition, Inc., in 1957, forming McGraw-Edison Company. He was founder and chairman of the board, Western Power & Gas company and Telephone Subsidiaries (Central Telephone Company, including subsidiaries in Minnesota, Iowa, Missouri, Wisconsin, Illinois, Virginia, North Carolina, Florida and Nevada). Central Telephone’s growth is a monument of the man, but greater was his ability to build men. His principles and powerful influence for good helped develop qualified men, dedicated to the industry. Many have served with distinction in both state and national associations. Founder and trustee of numerous charities and foundations, McGraw was also a leader in the conservation movement; president of the North American Wildlife Foundation; founder of the Max McGraw Wildlife Foundation; and trustee of other wildlife conservation foundations. He died in 1964.